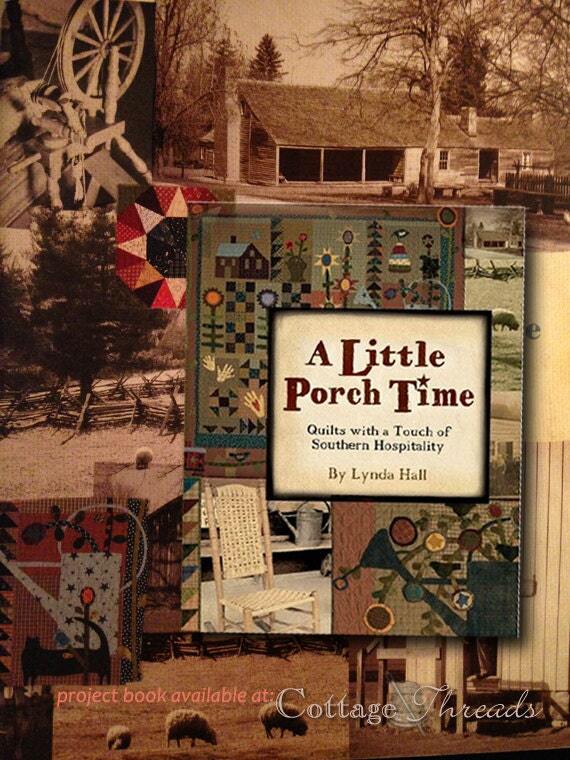 Whimsical quilt pattern book called A Little Porch Time created by Lynda Hall- Quilts with a Touch of Southern Hospitality . There are 72 full-color pages. 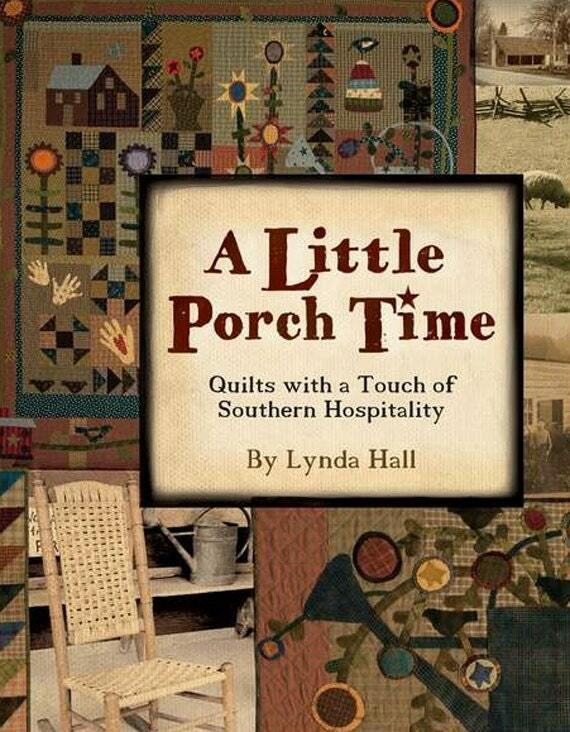 In this book, Lynda presents a large quilt and four smaller projects that remind her of her favorite things, many of which she enjoys as she sits on her porch. 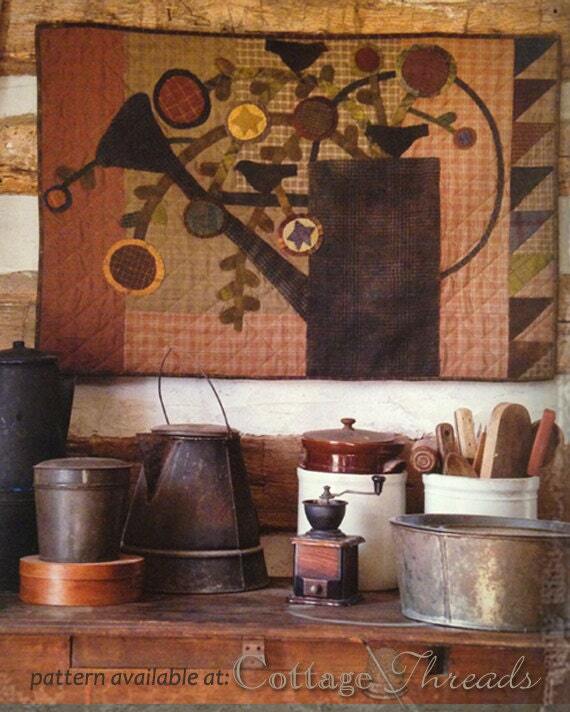 In Flower Bucket, she has appliquéd the leaky watering bucket that now holds beautiful flowers. Catnip features the cat that owns her house. 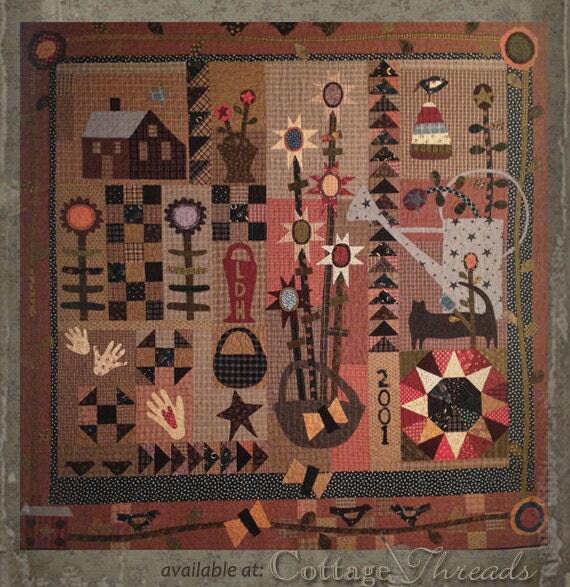 The Fairy Game is a reminder of an adventure with her granddaughter. 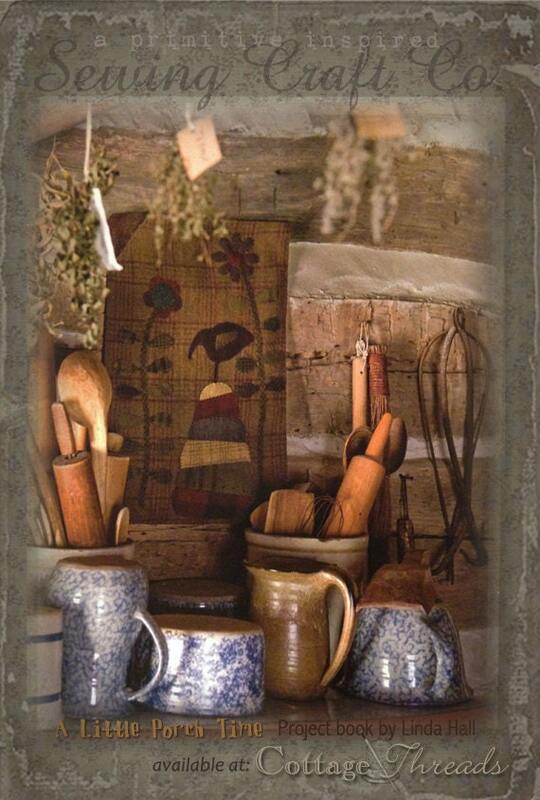 Auntie Bean’s Pincushion holds pins, scissors and ruler to hang within reach.